Today is a continuation of my website design series and I’m going to be talking about how a website designer can save you time and money. I’m going to go into some really important things to think about when you are considering whether you want to DIY your website or hire someone to help you with the design and development in order to save you time and ultimately save you money so you can spend more time working with your clients and growing your business. Today I’m talking about what’s included with your website design when you work with Lemon and the Sea. One of the most frequently asked questions I get as a designer is “is this thing included in your quote?” so today I’m taking some time to lay out what I include with every website design and to talk about why it’s important to ask these types of questions when you choose a website designer. 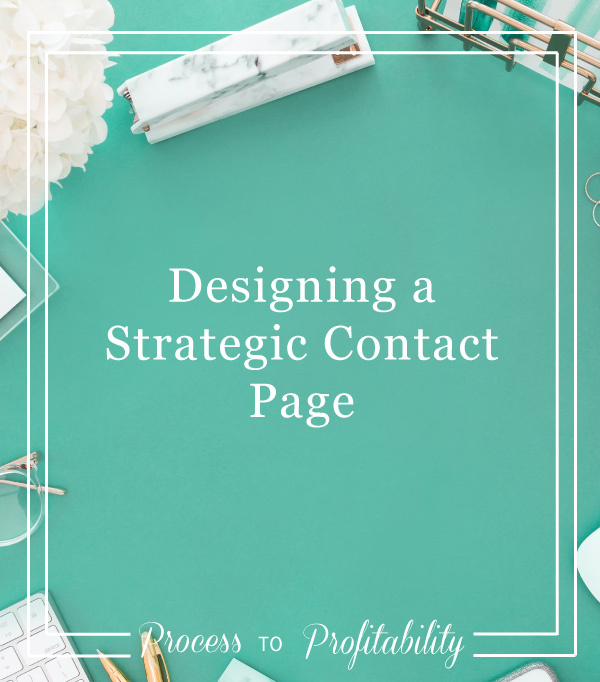 Today I’m talking about creating an effective call-to-action. Calls to action are something that appear on every website, so I wanted to take some time to talk about what makes a good one and gets people on your website to convert in the way that you want them to. Today I’m talking about launching your website. If you’ve been tuning in over the past size weeks, I’ve talked about designing a strategic website including your navigation, home page, about page, portfolio, sales page, and contact page to cover everything you need to build a website that helps your business to thrive. Now it’s time to talk about launching that website you’ve built. This is the way that I help my clients prepare for a launch and get their website into the world. This episode will be helpful if you’re working with a designer or designing a website yourself and you’re ready to launch in a way that helps your business to grow. Collect information about your current domain and host, including username and password, so it’s in one place. Build excitement for your upcoming launch a month in advance by letting you audience know what's going on. Give them a behind-the-scenes look into what you’re doing including why you’re updating your website and what to expect before and after you launch. One fun way to do this is to create a countdown that you share on social media. Email friends, business associates, collaborators to let them know what you’re working on and ask for their help in promoting your launch. Then, make it easy for them to share by providing images, copy, and important dates. Share sneak peeks of what the website will look like (a partial screen shot, color palette, mood board) to get them excited and build suspense. A great way to do this is to use social media to talk about what you’re learning and why you’re updating your website, focusing on the heart behind your brand and how you can better serve your clients. This step comes after the design of your website is finished, when you're just making sure that everything is ready to go. Make sure your website is SEO ready by adding site and page descriptions, updating image metadata, and submiting your sitemap to google. This includes forms, links, and what your website looks like on mobile, tablet and desktop views across browers. There are a few steps you'll need to take before your website can officially launch. Connect your domain If you are changing platforms, you will need to redirect your domain to point to the new website. For Squarespace, you can follow their tutorials. If you're using Showit, you need to submit everything to Showit and they will connect it for you. Set up your email. The email you are currently using will remain active as long as your hosting is active. If you choose to cancel your hosting, you will need to host your email elsewhere. If you are now hosting your website with Squarespace, you have the option of creating a G Suite account, which will allow you to send and receive email through Gmail. If you choose to move your email hosting to G Suite, you will need to redirect it to G Suite before canceling your current hosting. Do a soft launch. Test everything again once the website is live and allow enough time for everything to switch over (at least 3 days) before your official launch. Now it's time to share your new website and celebrate. I love sharing on Instagram, Instagram Stories, and Facebook Live. You aren't done after your launch. Check your analytics after a month to see if you’re meeting your website goals and make tweaks based on visitor feedback and analytics data. Also, continue promoting your content and website design and keep a list of updates you want to make down the road. Today I’m talking about interviewing your dream clients. If you have never heard of a dream client interview or you’ve never done one before, it may seem like a weird idea, but it is a great way to interview people who you want to work with and get an idea of what they are looking for in your service or product. Today we’re going to cover why interviewing your dream clients is good for your business, the basics of interviewing, writing questions that get to the point and give you what you need, getting ready for the interview, conducting it, and what you should do once it’s over. Conducting a dream client interview is a great way to get information that can help you as you make changes to your business, add new services or products, or update the copy on your website. The goal is to gather information about your dream client instead of assuming that you know what they want and need from your. Conducting the interview doesn't have to be difficult, but it does require some preparation. To get the best information possible, you want to interview 3-5 people. This allows you to see what answers are repeated and which you can throw out as one person's opinion. You should keep each interview to around 20 minutes (8-10 questions) to be respectful of everyone's time. To make it easy, use a scheduling software like Acuity Scheduling to find a time that works for btoh you and your interviewee. Conduct your call video video on something like Zoom that allows you to record so you don't have to take notes as you go. It's easiest to reach out to people you know or have a connection with. And, of course, you need to interview dream clients – people you want to work with in the future or have loved working with in the past. As you prepare for the interview, ask your potential interviewees and have them schedule a time. You want to let them know why you need their help and what to expect. Feel free to use this template or write your own. As you're writing questions to ask during the interview, use no more than 10 questions. You can ask the same thing in different ways to get more information. You goal here is to learn about their pain points/struggles and make sure you're clear on what they want (not just what you think they want). Do you feel your website design is holding you back? What made you decide to work with a designer for your website? What is the biggest challenge you face when it comes to your website? Do you feel like your website is doing its job? What type of website design service do you wish existed? What would you expect to be included in website design and strategy? How involved in the website design process do you want to be? What are your future goals and what type of support might you need? What would you want to see in a design portfolio to give you confidence in hiring someone? Since I was asking about website design, these questions are tailored to that topic, but you can use the same types of questions for your own service or product. This may be the most nerve-wracking part, but if you've chosen people who are willing to help, it won't be as scary as you think. Keep it simple - get on the call, remind them of what you’re doing, and ask for their permission to record so you don’t have to take notes. Then ask your questions, adjusting as needed based on their answers and wrap-up and thank them for their time. Now that you've conducted your dream client interviews, it's time to actually use the information you've gathered. You first step should be to send a thank you email and possibly send a small gift (I sent a $5 Starbucks giftcard). Once you have your notes, you need to put the information to use. You can use these interviews to update your services, packages, and process, write social media captions and brainstorm ideas for blog posts, rework your website copy to speak to your dream clients' concerns, and create on-boarding emails that remind your clients how you're going to serve them.